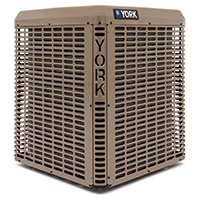 Choosing between HVAC Contractor in Solon, IA, can seem confusing and intimidating. At E&J Geothermal, Inc, we maintain a reputation for offering excellent customer service and will go out of our way to exceed your expectations with everything we do. Our goal is to perform high-quality work in an efficient manner so that you can get any issues resolved as soon as possible. Each of our technicians receives professional training and can work on any make or model of heater you have. E&J Geothermal, Inc offers flexible appointment availability throughout the week, and our friendly office staff can make it hassle-free to schedule with us. We'll be on time to our appointments and ready to handle all of the steps of the job. We want to be the ones you choose amongst HVAC Contractor in Solon, IA. Call our office today.